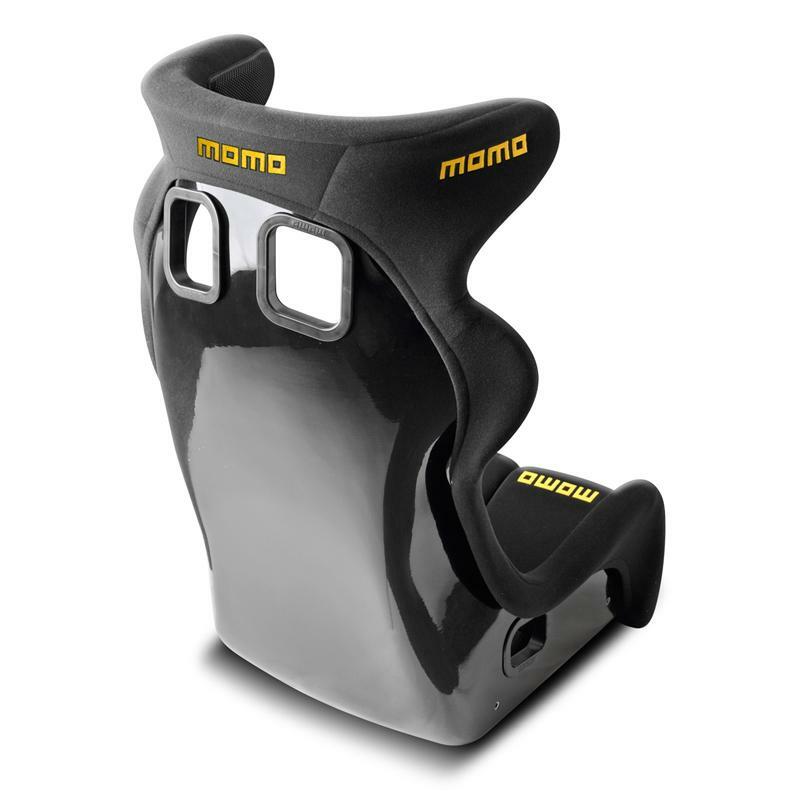 The MOMO Daytona EVO is a Hans® compatible, range-topping, fiberglass seat. Seat shell visible on the rear, front portion upholstered in black fabric. 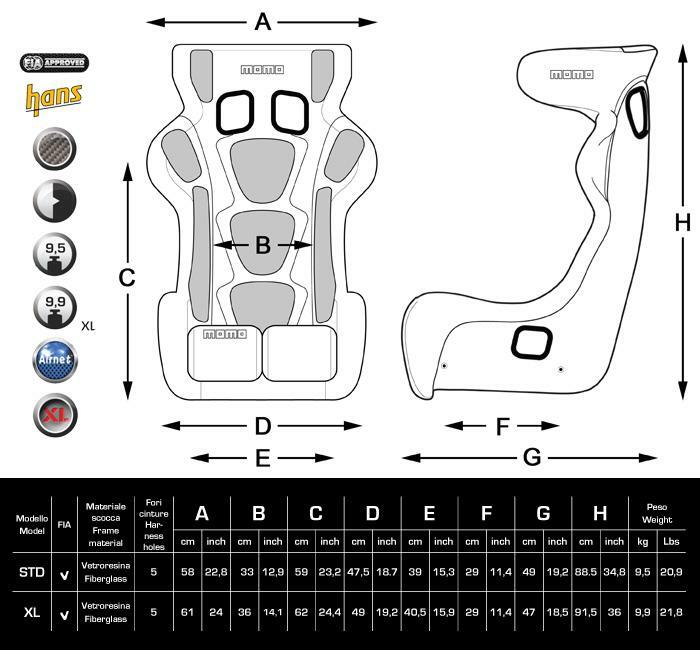 The particular shape of the upper part reduces lateral movements of the helmet and protects the driver’s head. 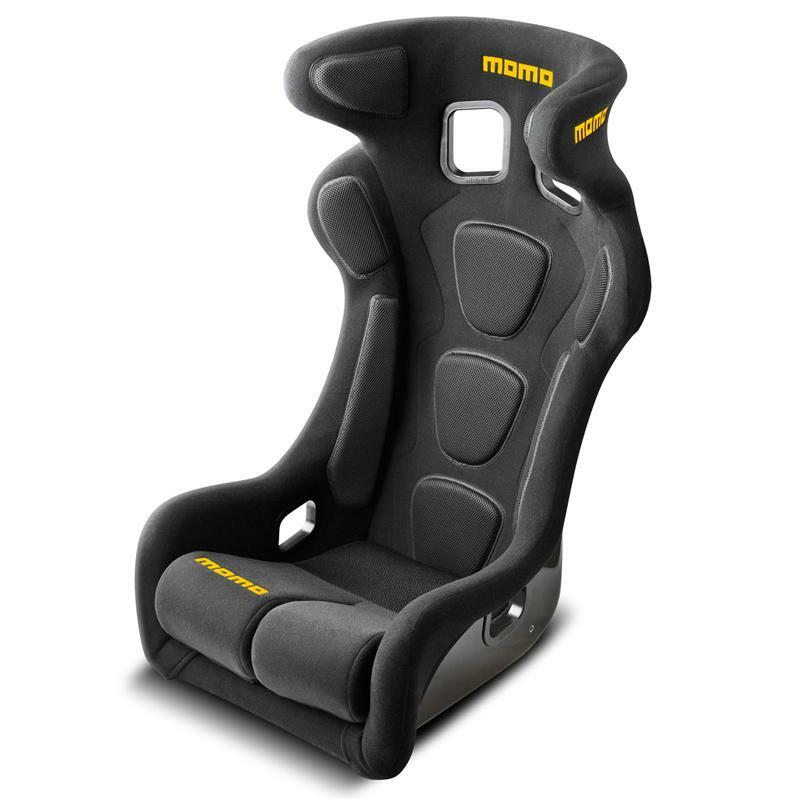 Anatomical backseat cushions, designed to give the maximum comfort and the best air flow, helping to reduce driver fatigue during long sessions. The exclusive Airnet technical material covers all back cushions, and Kinder Point on the seating area provides the best possible grip. Removable double leg cushion to optimize support.